Flash storage has to date been hampered by having to use SCSI protocols that were designed for mechanical hard drives. 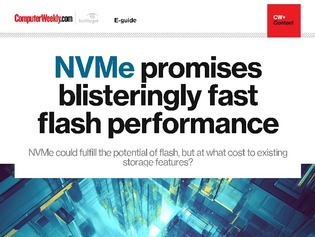 NVMe is a new protocol designed for flash, and could speed flash performance by tens or hundreds of times. This, however, moves the bottleneck in the server-storage I/O path to the storage controller's processors.